This Spring and Summer 2011 is all about prints, retro looks, and bright, bold colors. Prada is just one brand that plans to have a lot of fun with it, and they prove it with their latest video ad campaign. The Prada look is all about bold stripes of colour and is a trend which is popping up in Spring/Summer collections throughout the High Street stores. 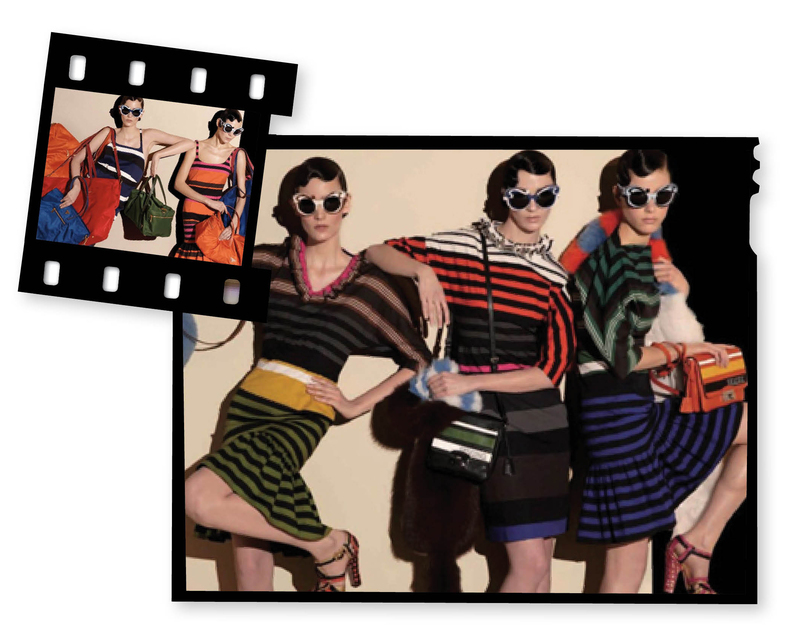 Oasis has definately earned it’s stripes for the best Catwalk|Copycat of the Prada stripe dress. It’s available in stores from early June and I, for one can’t wait! 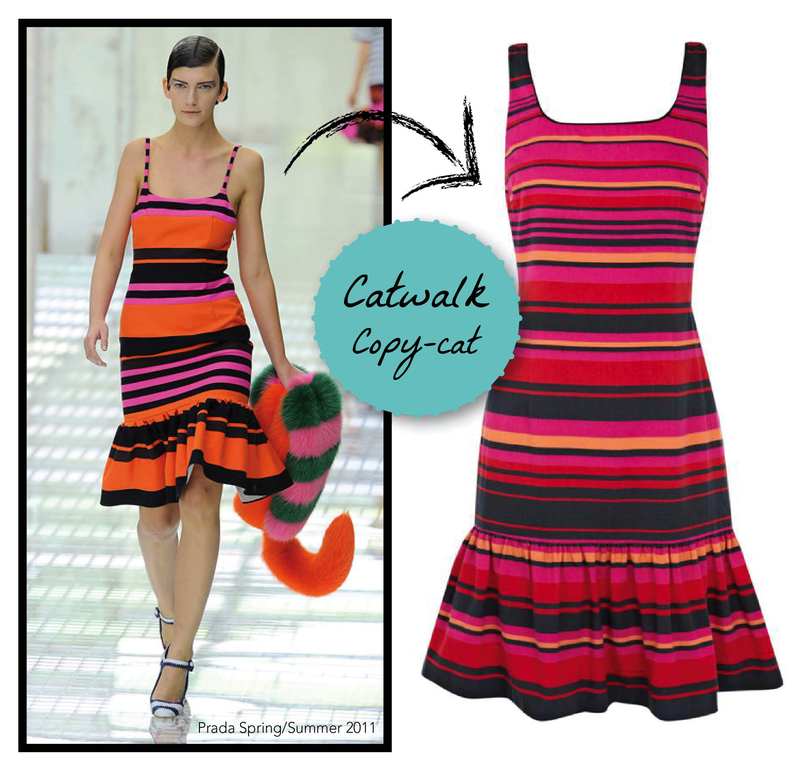 This entry was posted in Catwalk | Copycat and tagged catwalk copycat, oasis, prada, prada ad campaign s/s 2011, spring summer 2011, stripe dress. Bookmark the permalink.